Building inspectors are there to help home buyers be certain they are buying a home that is good and it is what they are paying for. Nothing could be worse than paying half a million dollars or more to find after you move into your home that you need to pay extensively to fix it up. You should know all this before you sign your contract. There are building inspectors or varying skills. They are very different. Obviously an inspector with decades of experience in construction procedure will be better than an inspector who is new to inspections and has a background of gardening, for example. Those with the desired backgrounds would be registered builders, architects and engineers. You will find their qualifications on their websites. The inspections available are numerous but as follows. The main inspection is the usual building inspection or structural inspection. This is where the inspector is looking for major significant defects that could affect the house price, or its safety or use. Then you want to know the minor defects that could be termed maintenance. Are the gutters working? Do they leak, have rust and so on. Are there cracks and what is behind them? Of course the list has to be relevant to the house bearing in mind its age and circumstances. For example, you would not list every scuff mark in a fifty year old house, but you might in a brand new house. The expectation of the client for these two inspections will be different. In a new house you would not expect to find one scuff mark. But in a fifty year old home you will. There are also inspections that can be arranged for the various stages of construction. For example, when the floors are finished and concrete poured. There will be another inspection when the wall frames up are up and when the roof is on. When the house is locked up is another, and when it is fitted out and painted are two more. And when it reaches practical completion is the last inspection. These are all helpful for a client who might have a difficult time dealing with their builder. Often just the practical completion inspection is useful, but really, it might be good to keep the builder on his toes all the way through, and doing this is a kind of insurance. The last two inspections are the termite, or timber pest inspection, and the energy efficiency rating inspection. Are these inspections worthwhile? Only the client can answer that as they have different needs. But in the end, using professionals, usually pays for itself in the long run. 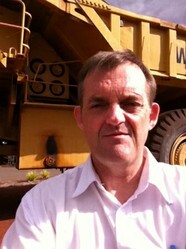 Nick Broadhurst is the principal of Canberra Building Inspections, Australia. He has had decades of experience in construction project management and worked in Japan, the USA Asia and Australia. See here for his background in his quality of service statement.